Cost of goods sold (CGS) includes the costs attributable to the production of the goods sold by company. This amount includes the materials cost used in creating the goods along with the direct labor costs used to produce the good and also includes Factory Overhead (FOH) which are all indirect costs. CGS appears on the income statement and can be deducted from net revenue to calculate a company’s gross profit. 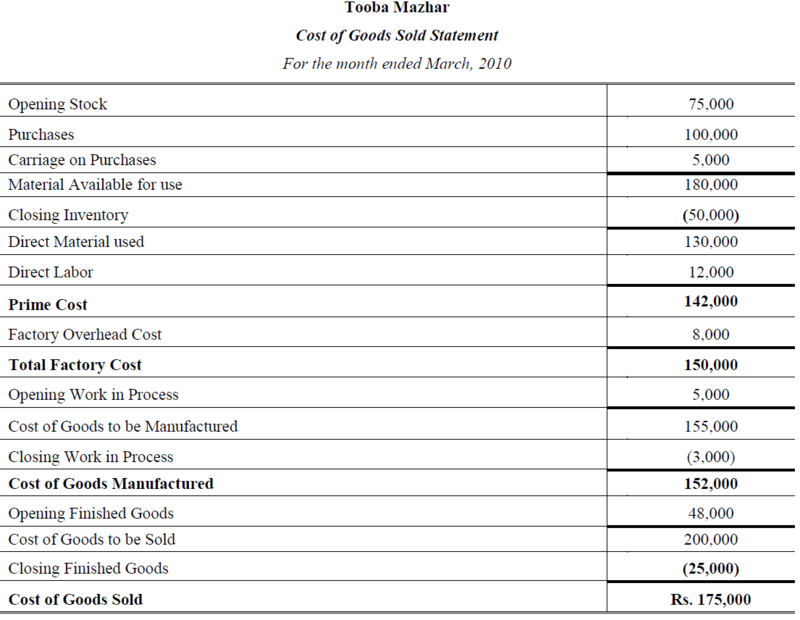 The following are the figures relating to the Tooba Mazhar Co. for the month of March, 2010. 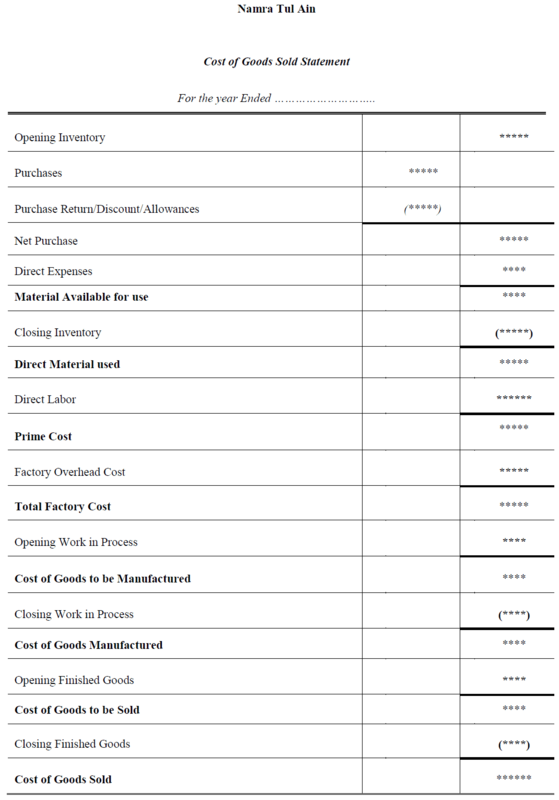 Requirement: Prepare statement showing Prime Cost; Conversion Cost; Total Cost; Cost of Goods Manufactured; Cost of Goods Sold. 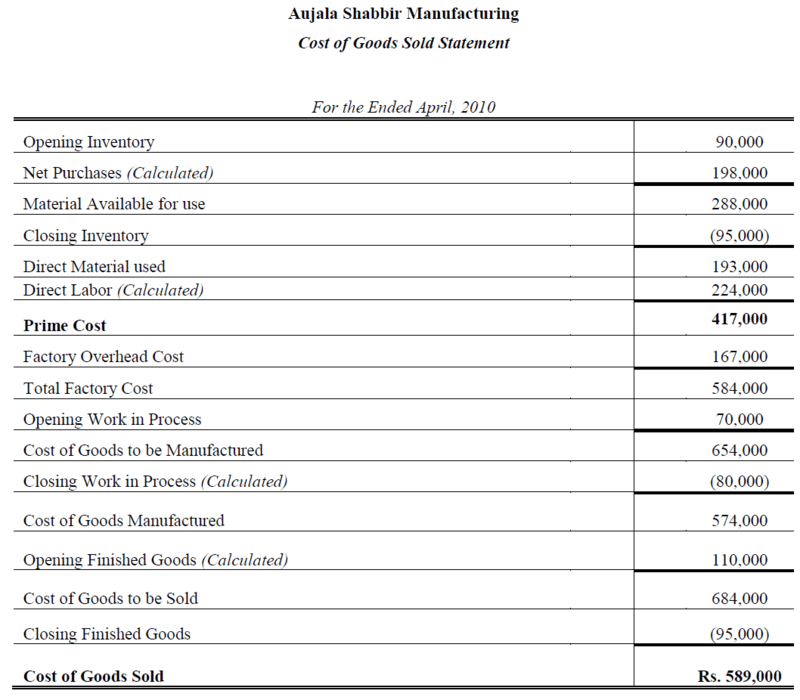 Calculate Gross Profit; Net Profit and per unit cost by assuming that 38,000 units were produced during March. >>> Further Reading Inventory Valuation. >> Practice Cost of Goods sold Quiz 1 and Quiz 2.